Accommodation: The majority of our hotels are small, locally owned and family operated establishments. 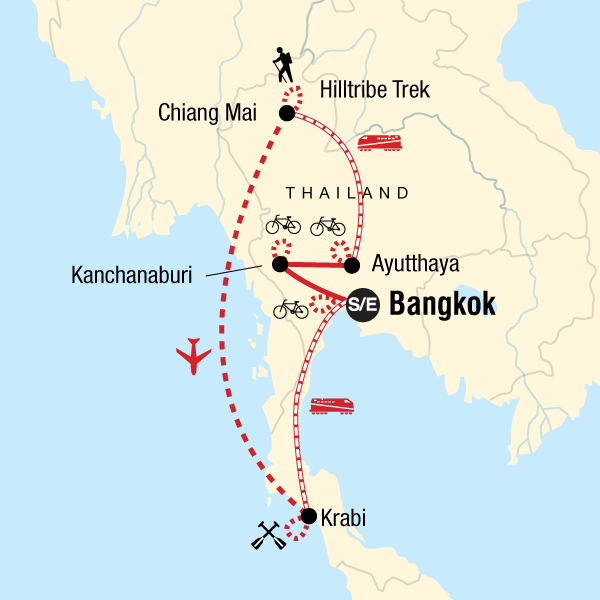 This tour includes two nights in the hilltribes, and one night on a jungle raft. Definitely take a rucksack. For those who didn't it was a hassle.